ISLAMABAD: The Pakistani Taliban on Monday warned the country's military it had set up a “suicide bombers squad” to hit troops if an offensive is launched in a restive tribal area bordering Afghanistan. In an email message sent to media, Tehreek-e-Taliban Pakistan, an umbrella militant group, said it had received “an exclusive intelligence report” about the offensive in North Waziristan from its “sources” in army headquarters. 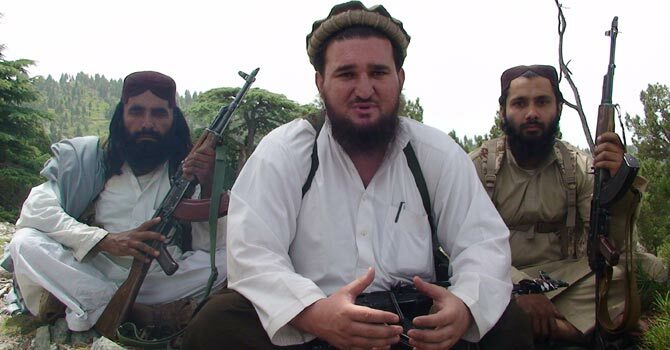 TTP spokesman Ehsanullah Ehsan outlined details about the regiments and units and the possible commander for the campaign, said to be launched on August 26 for one month. “TTP has also prepared itself for resistance, we have set up a suicide bombers squad to welcome (the) army. We will defeat our enemy, whom is defending secular, unIslamic system of Pakistan by punching them back hard InshaAllah (God willing),” Ehsan said. Military officials were not immediately available to comment on the claim. On August 3, The Wall Street Journal reported Pakistani and US officials were considering joint counter-terrorism campaigns in Afghanistan and Pakistan against Haqqanis and Taliban fighters. The report said the campaigns would mark an upturn in cooperation between the two countries after more than a year of rancorous relations, since the US raid that killed Osama bin Laden. Pakistani officials later denied any agreement with Washington for a joint operation in North Waziristan, and said “routine” actions on each side of the border “should not be mistaken for 'joint operations'”. 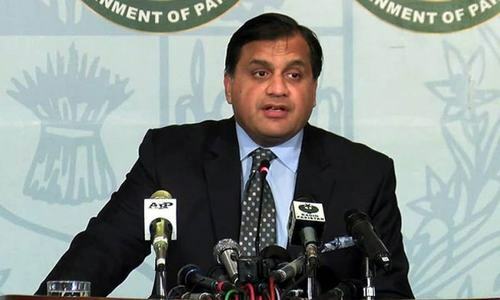 Washington has long demanded Pakistan take action against the Haqqanis, which the United States accused of attacking the US embassy in Kabul last September and acting like the “veritable arm” of Pakistani intelligence. Pakistan has in turn demanded Afghan and US forces do more to stop Pakistani Taliban militants crossing the border to launch attacks on its forces. Pakistan says 35,000 of its people, including more than 3,000 soldiers, have been killed as a result of terrorism since the 9/11 attacks and the US-led invasion of neighbouring Afghanistan. Pakistan should certainly not have US troops on its soil. Pakistan is more than capable of eliminating the terrorists on its own. Pakistan and USA created this menace on the first. The must join hands to eradicate it. NOW or NEVER! Why does the media not do a full boycott of all representation of them ?? 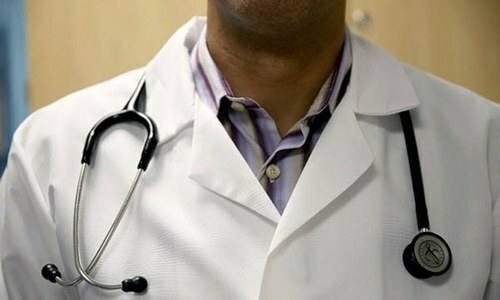 by creating sensation and covering everything these mulas have to say, you are their biggest supporters!! stop this and boycott all their news. Do not publish one thing for them or what they say. PAKISTAN if you want to live, it's NOW or NEVER. The pakistani military should show these TTP terrorists what pakistani military is made of. These terrorists need to be taught a lesson in decency and humanity and how to obey the law. Pakistan and USA must join together to eliminate these extremists. These extremists turn our life miserable. What the Good Taliban would do in this matter? Are they going to take side with the army against their fellow Taliban or they going to take side with their fellow Taliban against the army? Very interesting!!! Pakistani govt loves $ not Pakistan . First get rid of the TTP, then we will talk about the other nonsense from across the border. I do not want to see any more islamic fighters in this country. Only good mullah should be behaving in the mosque. If Pakistan is Afghanistan then America should walk away. We should distance ourselves with US but still launch an attack on terrorist on our own and for our own benefit. such an operation should be followed by prompt and just punishments through judicial process. so far judiciary is one institution who has done nothing for pakistan, this is the time for them to be brave and do the right thing. Credit goes to General ZiaUL HAQ This was the nursery planted by him.I wonder why did not any TV channel remember him on his aniversary on the 17th of August.Would any interviewer ever ask his son to comment on these issues. No need for this new operation. All kinds of problems will increase. We need reconcilliation and peace and not to antagonize more people. Start a dialogue and isolate irreconcilable elements. Current system in pak is far better than the Taliban style brutality, killings, persecutions and mistreatments of minorities. Tribes are now enough mature and can not be used in the name of religion. Army is not perfect but we have to support state troops against these militias, mafia and traders of death. Pakistan can be very peaceful once and for all if Pakistani military accept few casualties and shut down these terrorist group once and for all. Time to think !!! If there is a shred of truth to what Taliban are claiming, Pakistan Army should immediately prioritize and clean the house of these menace within the army. The media should play its role and we must fight as one. Taliban and people supporting Talibans should be eliminated from the society "period". TTP is like keeping Vampires in the back yard. They are not Muslims and they are the enemies of Pakistan.They should be eliminated at any cost as soon as possible. you still believe Tehreek-e-Taliban exist ? We have no choice -- Now or never. Lets do it while US willing to help us. We need to get rid of it once for all. This is outrageous!! Taliban must be kept on check at any cost! It doesn't affect Pakistan alone.it affects India too!! Go Pak Army go and get rid of these miscreants!! All the best! Pakistan and US should join hands to remove these heartless, ignorant and brutal people. Who have committed nearly every possible crime against humanity. Inshallah the Pakistan military will go after the Taliban and Haqqanis group and hurt them to the extent that they would try in kill anymore innocent Pakistani's. What do Hamid Gul, JI, JUI, PML (N) and Imran Khan have to say about this threat by their Taliban brothers ? Pakistan must stand on its own economically. Must refuse US aid and pull out of this America's war. Pakistan always struggled and it has an extremist population for decades. Stop kidding yourselves, getting out of that predicamant is difficult for these muslim warrior nation untill and unless someone gets mad and destroys them altoghther. Stop blaming everytody else for your troubles: US/West/Israel/Baloch/Ahmadi/Hindu/Shia/Christian/------ (fill in the blank with your "enemy-"). Come back to this planet and open your eyes. I agree Pakistan and USA created this menace. They should join hands and eradicate it. If Sri Lankan Army can do it our brave forces Pak army can do it. Its a piece of cake. Its a holy war against people with no religion TTP. Pakistan Army Zindabad. No war can be won without ultimate sacrifice, Pakistani are you ready to live a life or slavery. "Pakistani Taliban threatens attack on military"...So all this time the Taliban were loving the Army? I hope someone teaches them a lesson. "...we have set up a suicide bombers squad to welcome (the) army...” I am amazed at the arrogance that resonates in this statement. As long as these terrorists are running around there is no hope. Eliminate these terrorists and Pakistan is safe. America is leaving Afghanistan anyway. Did the Taliban join hands with the Pakistan govt during the 7 months you weren't even talking to the American's? --- whether you like it or not the Taliban have there own agenda and it has nothing to do with America. Usman Ali open your eyes and mind. People like you in Pakistan are helping disintegration of Pakistan. You wake up. If you think that Taliban are not a risk to state of Pakistan you are very naive. It is now or never. If they are not annihilated now they will will gain strength with the help of people like you and in no time will break up Pakistan. Pakistan, for the survival of your country, wipe out these extremists. Why drone does not kill these TTP people? Well, we have surely been dragged into it. It 'WAS' americas war for sure. Eliminate Taliban first and then purge the Army of Taliban supporters. Let Taliban not desist you from achieving your target. what a joke??? Know your worth before speaking Mr Ehsan. You don't even know the world outside the mountains and ruins you are living in and threatening a professional standing army which posseses nuclear weapons capability.wake up and prepare for your exit strategy before its too late. what do you think, its our war? Wake up Usman!!! You need to get your bearing right. Religious intolerance and extremism has been festering Pakistan since Zia's time. I hope you realise this is Pakistan's War. Its a war that needs to be fought in every corner of Pakistan because if we dont then we are condemning Pakistan for ever. There is no way to reason with these guys. I beleive these self proclaimed guards of Islam who consider everyone else Kafir, will never live in peace. Only way for Pakistan to gain peace is to eliminate them. Anyone who thinks that they will stop if army leave them alone is dreaming. They are just ignorant beyond imagination. I have never understood how these militants have the money to buy the necessary armaments? There apparently are a large number of them? Where do they live? What kind of work do they do? What kind of money do they earn? Has anyone tried to trace the funding for these people? Can ANYBODY educate me, please? i wish the army great success as they wipe out these terrorists from pakistani soil forever. i hope they catch the leaders and hang them publicly. Don't blame American now.. it is all our own rowed seeds and its huge tree.. The common people of Pakistan must join hands to save their country, their religion and themselves from these terrorists, who in the name of religion are bringing the country, the countrymen and the religion into disrepute. The question is Who is funding these TTP people that they have the courage to threaten ARMY of a country which is spending a huge part of their budget on ARMY, this means that the INVESTMENT on these TTP people is more than what Pakistan Govt. is spending on the ARMY!!!! Who is funding TTP??????? good atleast Pakistani army officers have some work to do now instead of purchasing and grabbing land in the name of DHA.